The Young Israel of West Hartford is warm diverse and vibrant Centrist Orthodox congregation. We aspire to inspire personal growth and social responsibility as well as to strengthen our connection to our heritage, the Torah, our tradition, our Mesorah, and our homeland, the State of Israel. As a synagogue and as individuals, we seek to cultivate an environment that values each member of our community and connects across generations from babies to bubbies. More than just a synagogue, the Young Israel of West Hartford is a warm and loving community seeking to inspire individuals and families of all ages, backgrounds, levels of education and observance. Please join us for a Shabbat, a service or a program, and we are confident that you will find a warm and welcoming home. Check out some of our upcoming programs, exciting past events, learning opportunity and youth programs! For more information, click here or contact us at info@youngisraelwh.org. 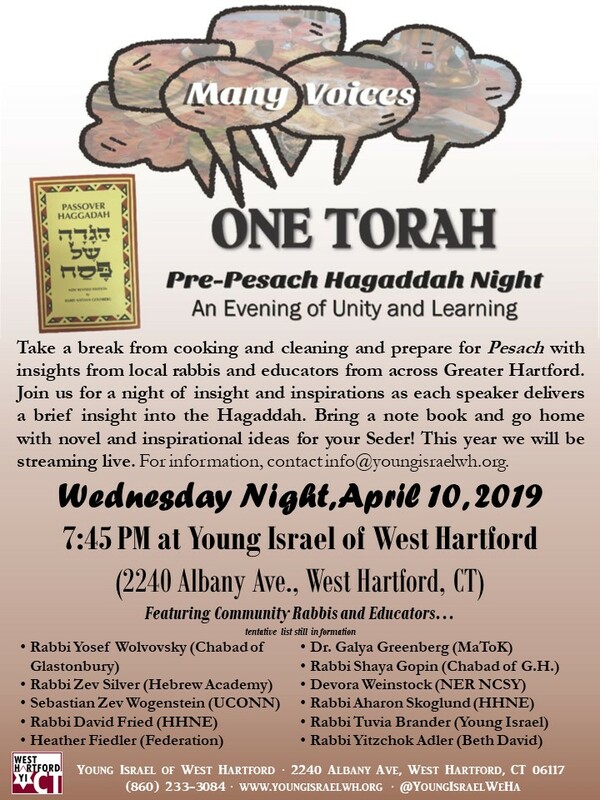 Check out this year’s Young Israel of West Hartford Pesach Guide. 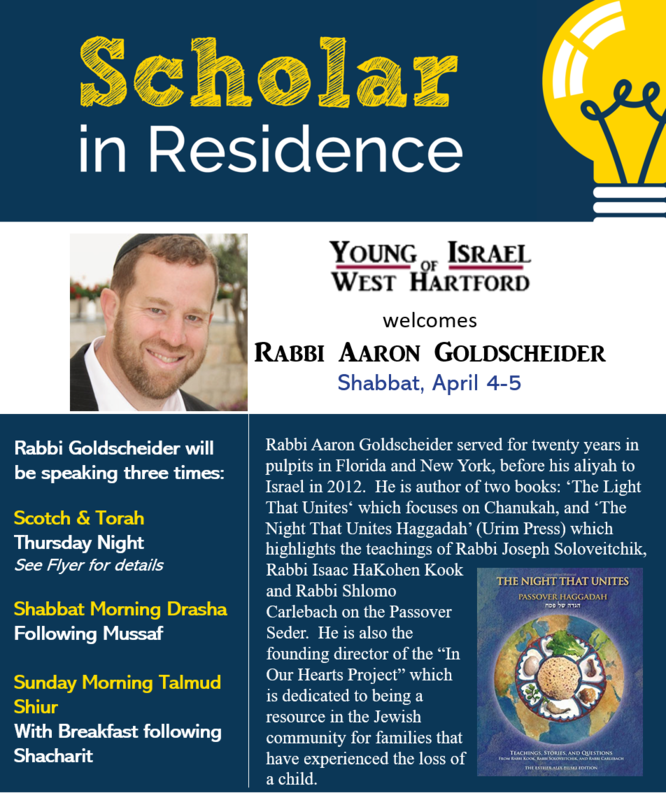 It’s packed with important Pesach tidbits, our Pesach schedule and exciting information about upcoming Pesach programing all happening at Young Israel! Download your form here or pick one up in the Young Israel lobby. 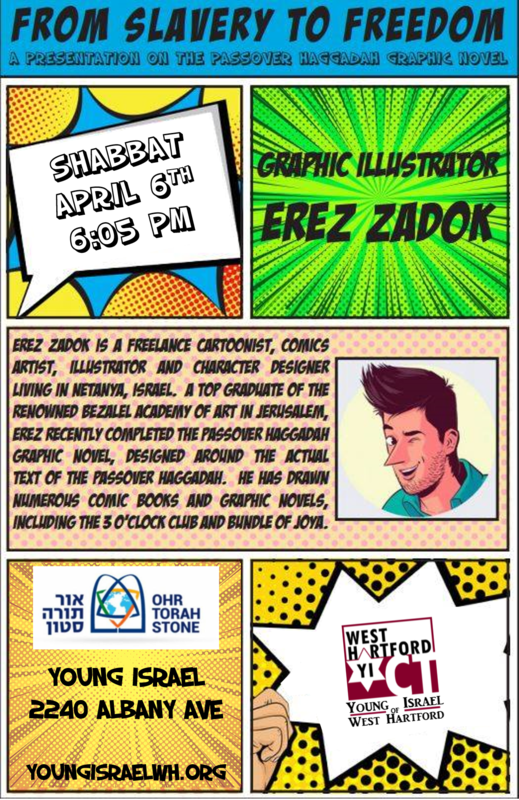 Join us for an evening of reflection and celebration to mark the transition between Yom HaZikaron (Israel's Memorial Day) and Yom Ha'atzmaut (Israel's Independence Day) followed by an exciting mesiba (party) to celebrate Israel's 71st birthday! The evening will feature torch lighting, Israeli food, music and fun for the whole family. 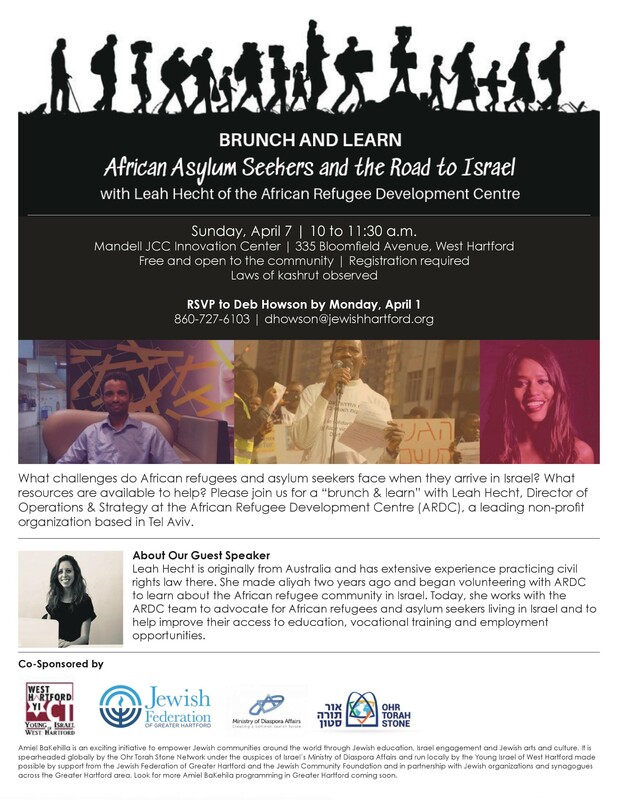 For more information, Tali Bass, tbass@mandelljcc.org. For more about what's going on see our weekly bulletin. For more information and to find out about programing, click here! Let this year be the year you go the distance--counting each and every night of Sefirat HaOmer! Need some incentive? Go the distance this year and celebrate with us at a Gala Breakfast after Shavuot!!!! NEW THIS YEAR: Join our LSC Whatsapp group for daily sefira remidners plus periodic words of encouragement and inspiration. Everyone who is a part will be entered into a raffle to win one of two $49 Amazon Gift Cards!